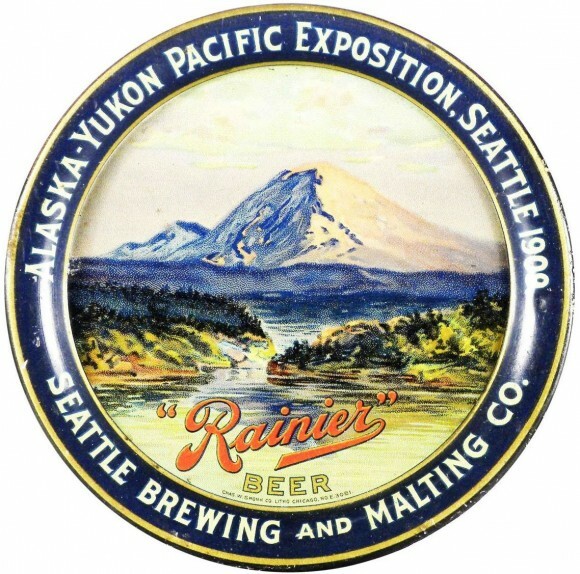 Serving Tray for Rainier Beer showing in the center a beautiful mountain scene with a river flowing in the front. Text around the border states Alaska-Yukon Pacific Exposition, Seattle 1909. Tray from The Seattle Brewing and Malting Company.